Luke Ricketson is a former Rugby League player turned media personality. The switch came naturally for Luke as he joined Channel Nine’s The Footy Show following his retirement. Debuting for the Roosters at just 18 years of age, Luke would go on to play a club record 301 games and represent Australia. He is very proud that he was able to see out his entire career with just one club. Luke has gone on to appear on Dancing with the Stars and host popular show Sydney Weekender on Channel Seven. Luke is well known for his fashion sense, assuming ambassadorial roles for labels AJC and Herringbone. He has also been an ambassador for Samsung’s charity Digital Hope and headed up the New South Wales government’s School & Fitness program. Luke is a highly professional, polished and articulate master of ceremonies. 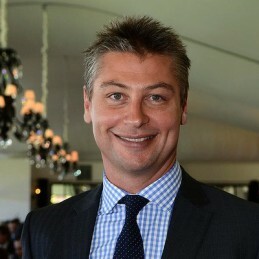 He is the regular host of the Roosters Chairman’s Club, entertaining members and special guests. Luke is available for sponsorship drives, marketing and media work.